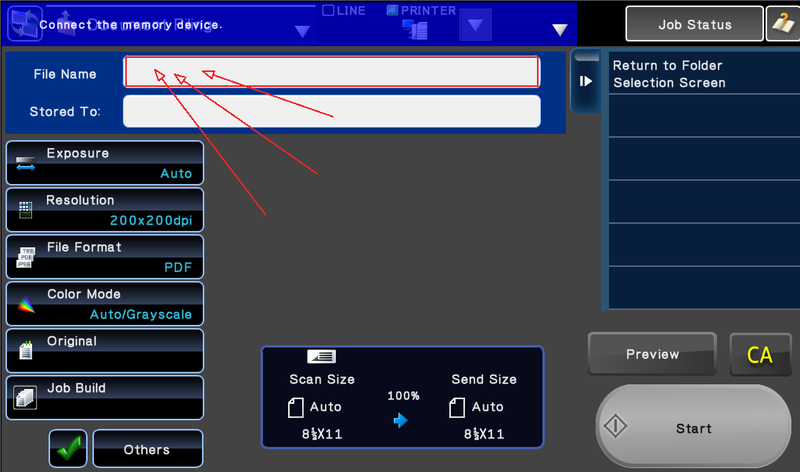 Here are some quick instructions for how to scan to a USB on a Sharp MFP. Follow along with video below, or with the step-by-step pictures beneath it. 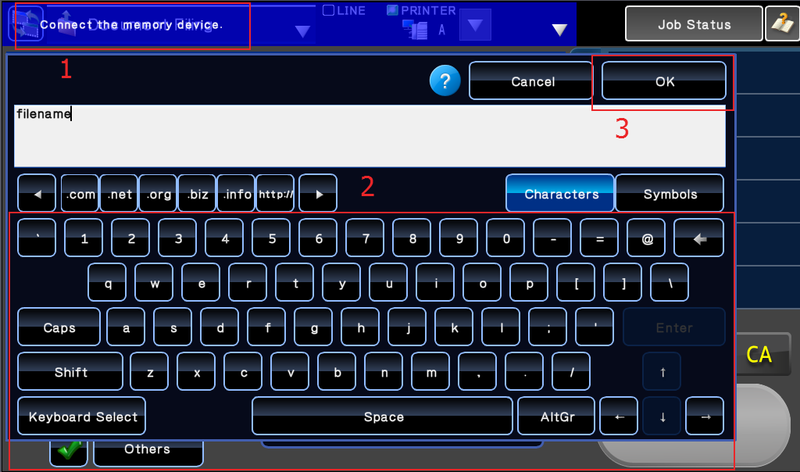 *Note: there are two different styles of screen on the Sharp copiers. If your screen does not look like the one in the video, scroll down to find the instruction in red. If you get turned around during this process, which should be impossible, just contact our office for a bit of help. 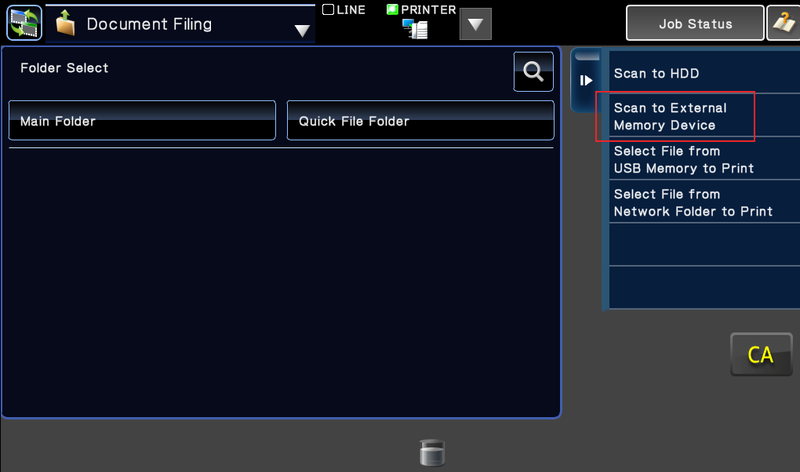 Now that you know how to scan to a USB with your Sharp printer, take a look at our How To page for more tips and tricks for your Sharp scanners. Skelton Business Equipment is a premier Sharp dealer in Houston, TX. 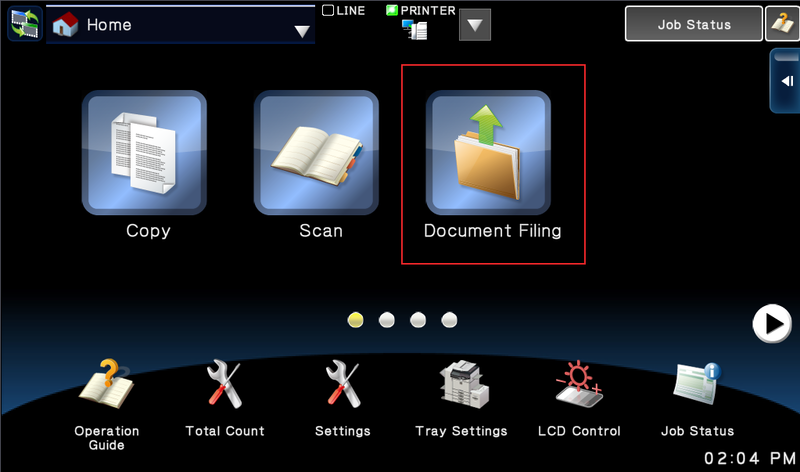 We sell, lease, and rent high quality, reliable multi-functional printers to the entire greater Houston area. Call us at 281-351-5128 or request a quote from us for your future office equipment needs. We can provide shredders and other finishing equipment from MBM as well. Experience our 4 hour service call turnaround time. If you aren’t happy with your current Sharp service provider in Houston, we can help! Contact us to schedule a service call today. We would love to be the cure to your copier related headaches that you shouldn’t have to deal with on a daily basis! Please follow along with the instructions on the page. I’ll approve your comment for your backlink. I keep getting this error message ” An error occurred while accessing the memory device” What could I do? Any suggestions? Is it a USB stick or an external hard drive? The machines can only read sticks that are formatted to Fat 32. Also, some of the large capacity USBs dont work from time to time. Try a smaller capacity stick. Great Blog!! I read your blog, you have shared here informative and entertaining information. Thanks for sharing this kind of information.